So last week’s Supergirl ended on a bizarre note, with a weird portal bouncing around Kara’s apartment interrupting her & Mon-El’s first kiss. 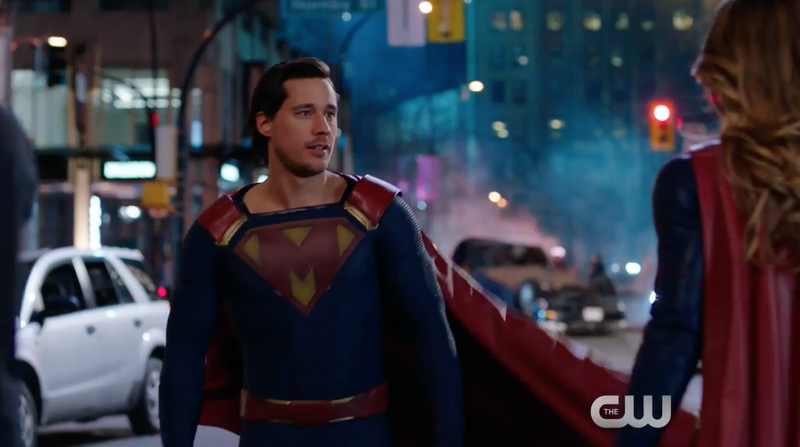 Another Flash appearance? No, not for a couple weeks. Instead, it’s a dapper British gentleman (Peter Gadlot) who turns out to be this world’s version of Superman’s goofiest foe, Mr. Mxyzptlk! An imp from the 5th Dimension, ol’ Mxy (which I’m calling him because folks, I don’t get paid to type long crazy names) turns out to have been watching Kara from afar and fallen madly in love with her. How madly? 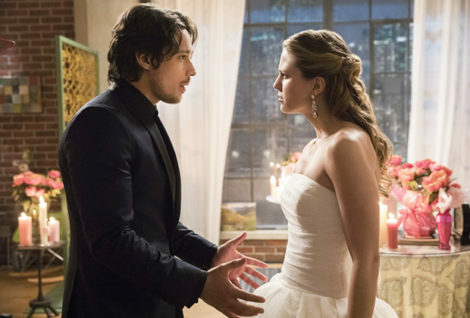 Well, he pushes Mon-El aside and, using his powers, poofs up a Vera Wang dress for Kara and fills up her apartment with string musicians and bouquets of roses…yeah. It’s that last bit that kinda lost me. 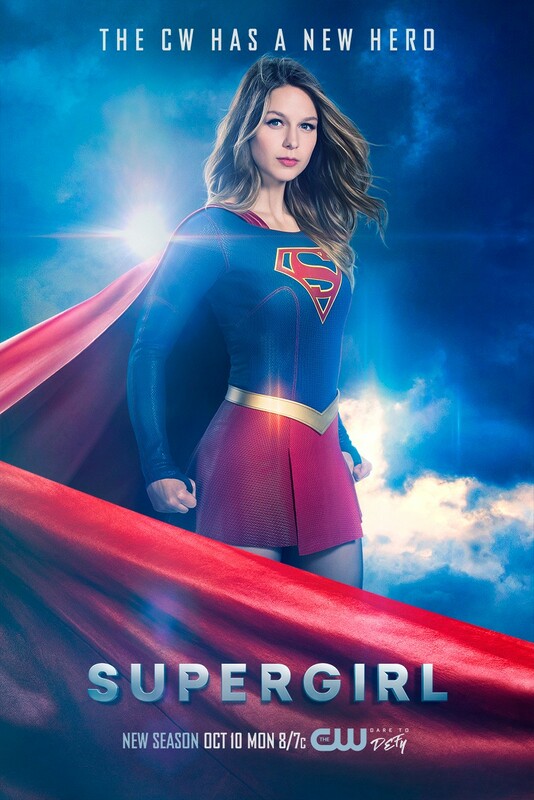 It’s a cute bit and a strong scene but feels like writers Jessica Queller & Sterling Gates (longtime DC writer behind a long Supergirl run in the last decade as well as this show’s sadly short-lived tie-in comic) and director Stefan Pleszczynski threw it in there just for padding. It’s a fun bit, don’t get me wrong, but it could’ve fit in better. That aside, this is a very strong episode and lovely in a lot of ways. Winn’s new love interest has all the chemistry with him that he and Kara never did and this is the best work Melissa Benoist & Chris Wood have done to make Kara/Mon-El a believable ship. Making a swooning, Tom Hiddleston-y Mxy could’ve gone over really bad, but Gadlot sells the hell out of it and never lets the jokes get in the way of how creepy he is. All in all, a fine episode indeed.